Our vision is to equip women to serve the church, love and encourage one another, grow in their spiritual gifts, and evangelize their communities. The Women’s ministry has a variety of activities throughout the year from monthly coffee fellowship, potluck fellowships, Bible studies, ReFit classes, Simulcasts/retreats as well as a large Fall event. Child care will be noted if available. The Monthly Coffee Fellowship is an hour-long event where women from our church and guests fellowship with one another. 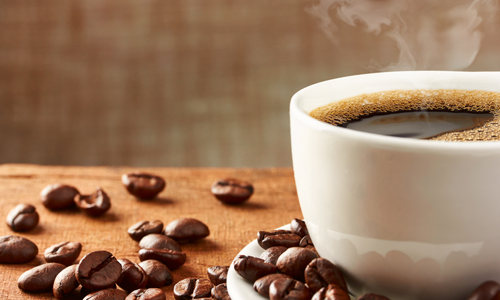 We provide coffee and pastries. We also have a speaker each month from a different ministry at Crestview or the community to inform the ladies of the activities and information that go along with these ministries. No childcare provided. 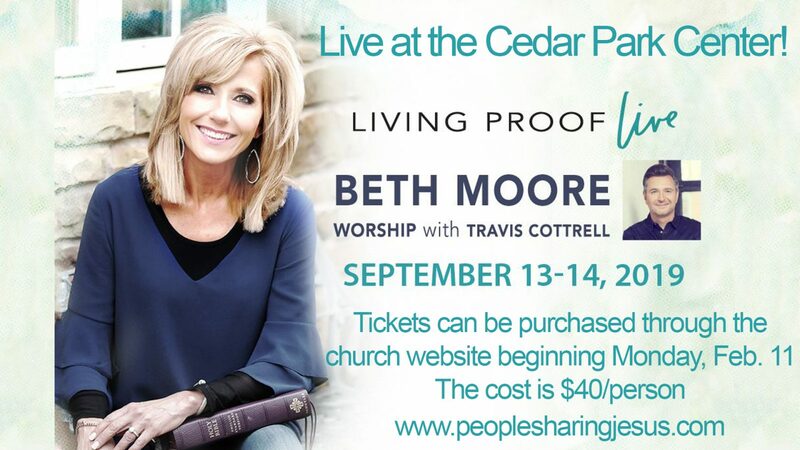 Beth Moore will be coming to the HEB Cedar Park Center on Sept. 13th & 14th. Click here to register and pay. The cost is $40 per ticket. We believe there is power in diversity. REFIT welcomes all sizes, shapes, ages, and backgrounds. It’s not about having a socially acceptable body. It’s about YOUR body! Cardio. Toning. Flexibility. Our workouts target the whole person body+mind+soul. Our music is powerful, positive and uplifting, and there’s a fitness-focus behind every movement. Our instructors are trained to cultivate strong connections that last well beyond the workout. Our yearly women's retreats are to provide tools to disciple and equip women in growing spiritually, mentally, emotionally and growing friendships with other women. We travel to another location and get away from our busy schedules. It’s a time to relax and build relationships. Look for details on upcoming retreats. The Women’s Ministry provides two simulcasts per year, one fall and one spring. We have had the Priscilla Shirer and Beth Moore simulcasts. Our simulcasts take place in the Worship Center and are free. We provide a morning and afternoon snack, lunch, and beverages. Watch this space for upcoming events and child care info. The Women’s Potluck Fellowship meets once in the Spring and once in the Fall. This is a time where we all bring a dish to share with the other ladies. This fellowship is made available in the evenings for our women and guests that might not be able to attend activities that the Women’s Ministry have during the day. Upcoming dates, times, and childcare info will be published in the bulletin.